Wall drives - 3 sets of 5 each leg, emphasis on 45 degree angle to fence, keeping shoulder in line with ankle, head up. 1. Player 1 start on one knee at 5 yard line, player 2 at 1 yard line. As soon as player 1 accelerates and decelerates, player 2 must react and follow. Each player leads 3 times. 2. 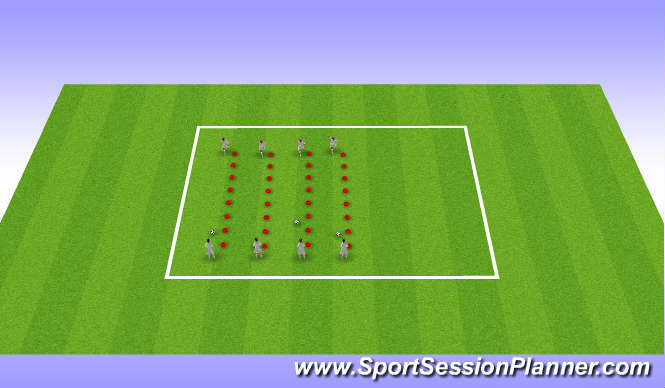 Player 1 is prone on floor, player 2 lying behind - when player 1 gets up, player 2 must follow and catch him within 20 yards. 3. Player 1 prone on floor behing player 2 on floor - When player 1 gets up, player 2 must get up and catch him within 20 yards.